Not content with a humble hamster or cuddly cat, some opt for a more exotic pet like a snake or monkey. But taking wild animals into your home is rarely a good idea. Many exotic pets are legally sold and are often bred in captivity. But large numbers are also traded illicitly and plucked from their homes in the wild. The illegal pet trade poses a major threat to endangered species, with thousands of the captured animals dying within the first year of being trafficked. Either way, conservationists and vets say most people don’t realize the challenges and dangers in caring for a wild animal. That puts the welfare of animals and people at risk. Snakes are the stuff of nightmares for some people. But others are fascinated by these cold-blooded animals. That’s why they make popular pets. Still, they are often abandoned as they become too big to handle. Vets and rescue centers receive the animals in terrible health due to improper caging and diets. 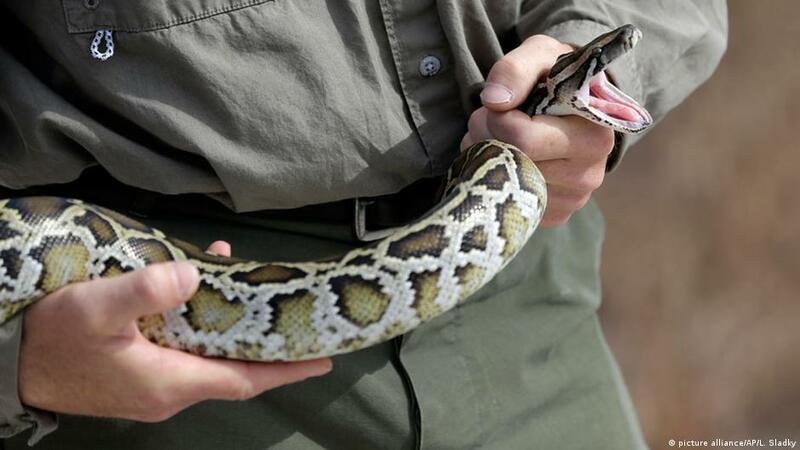 In Florida, Burmese pythons (pictured) have been an invasive species since the 1980s, posing a threat to local wildlife and people. Nothing could be bad about keeping a cute turtle, right? Wrong. When the Teenage Mutant Hero Turtles franchise hit our screens 30 years ago, kids went crazy for red-eared terrapins. The terrapins, native to the Americas, are small and adorable when they are babies and require seemingly little keep-up. But they can grow more than 30 centimeters long and require a lot of maintenance. They can also live for up to three decades. 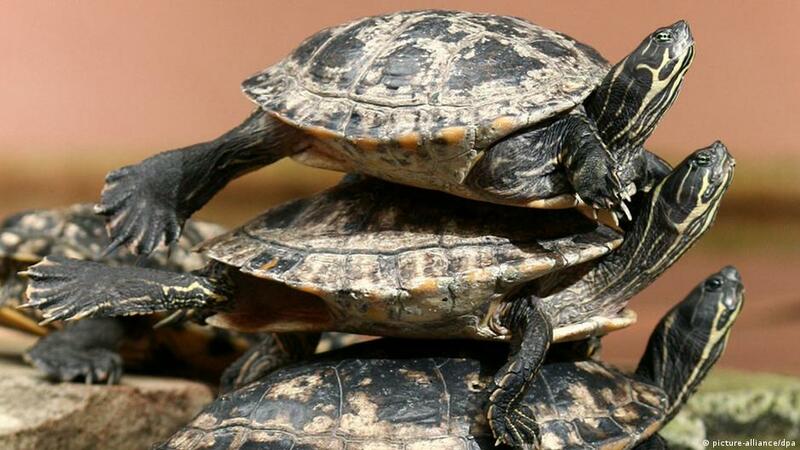 Soon, families were abandoning the terrapins in their thousands. In the UK, it caused an environmental crisis with the animals eating native species and destroying ecosystems. One other thing to consider: turtles are carriers of salmonella. While, conservationists encourage captive breeding for birds as an alternative to illegal capture, tens of thousands are caught in the wild and trafficked live to markets around the world, according to the WWF. Many of the coveted species are endangered and down to a few hundred examples in the wild. 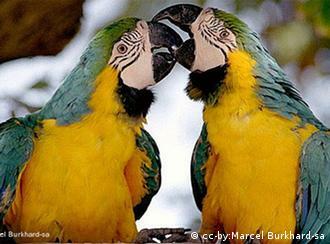 The blue-and-yellow macaw, for instance, is a popular species in the illegal pet trade, which has “devastated” populations of the exotic wild birds, says conservation society WWF. These highly intelligent animals also require a lot of upkeep and are a lifelong commitment as they can live up to 60 years. 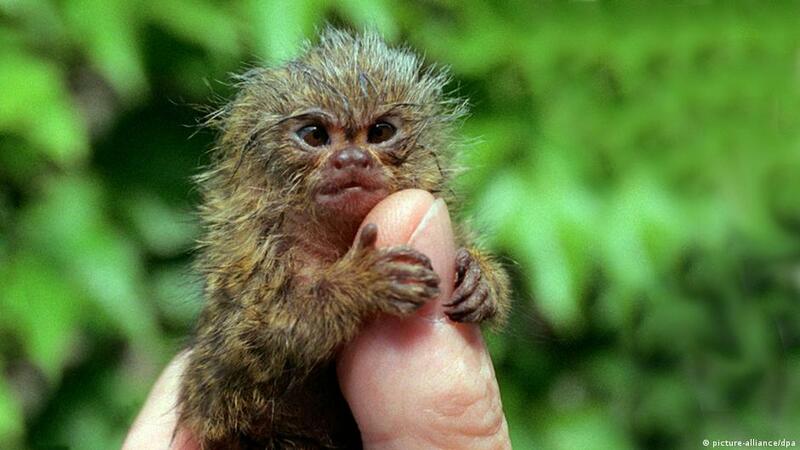 Tens of thousands of primates are trafficked live in terrible conditions each year to keep up with the demand for adorable pygmy marmosets (pictured), capuchins and macaques. According to British animal welfare group, RSPCA, rescued pet primates are often found caged in glass-fronted cupboards and aviaries with fractured and misshapen bones due to poor diet and lack of sunlight. Monkeys are expensive to house properly and need your full attention, otherwise, much like humans, they will develop psychological problems. As they mature, they often become aggressive and they can also carry zoonotic diseases such as monkeypox and Herpes B virus. “Whether born in captivity or in the wild, primates are wild animals that are in no way suitable companions, no matter how well intentioned the keeper,” says the RSPCA. The same problems with pet monkeys apply to their larger cousins – the great apes. Commercial trade of wild-caught great apes, including orangutans, is prohibited under the Convention on International Trade in Endangered Species (CITES). Still, the illegal pet trade is putting further pressure on already devastated wild ape populations. 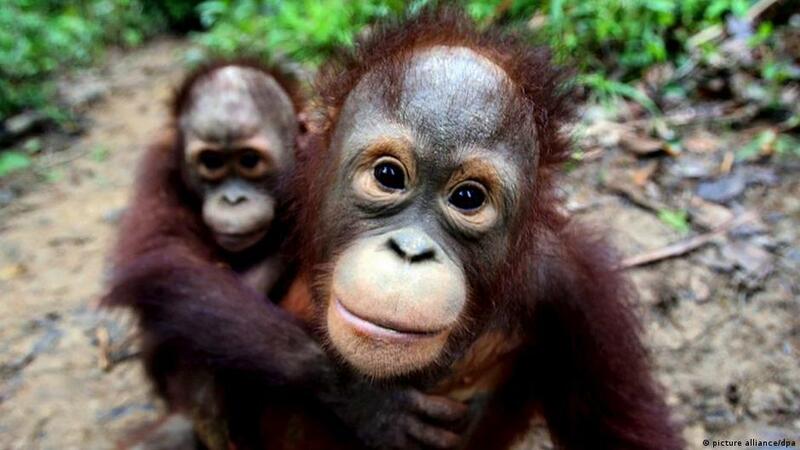 For instance, about 60,000 orangutans are left in the wild but they are still being captured, particularly as babies. Traffickers will often kill the mothers to get to the babies, says Noga Shanee, from Neotropical Primate Conservation. Apes also mature more slowly than other animals and while they are sweet and gentle for the first few years of their lives, they can become aggressive and unpredictable when they mature, making them unsuitable pets, according to the Great Ape Survival Project. It’s probably unsurprising news, but big cats don’t make for good pets. They are predators, aggressive and need a lot of highly specialized care. But perhaps even more surprising is that thousands are kept as pets. 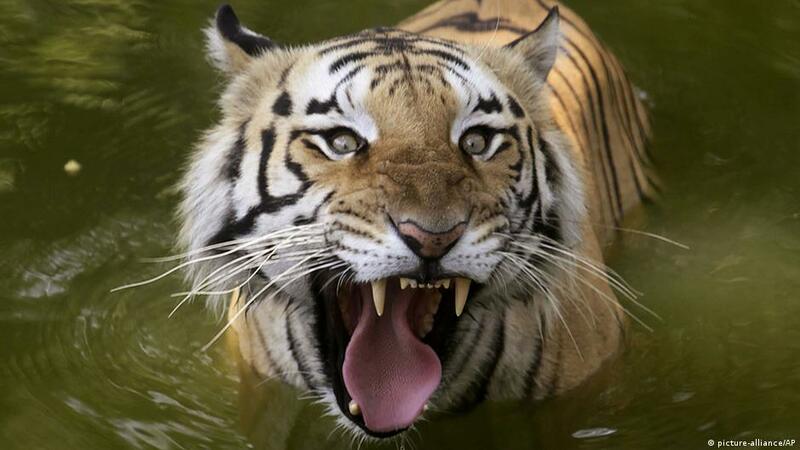 In the US, there are more tigers in backyards than there are in the wild, according to WWF. Lax oversight of captive tigers means they are often not adequately secured with potentially devastating consequences for humans and the tigers themselves. In one major incident in the U.S. state of Ohio in 2011, first responders had to shoot 18 rare Bengal tigers and 17 lions when their owner let them loose into the local community. WWF says lack of monitoring of captive tigers means they become target for black market sales, which in turn threatens wild populations by stimulating demand.